← blog 91: In which I travel to the Nation’s Capital to be there when the Dugongs returned. What are Parallel Import Restrictions (PIRs)? At present in Australia, the UK and USA, an author owns territorial rights to their work. This means that they can sell their book to one publisher in Australia, one in America and another in the UK, and those publishers have an exclusive right to sell that book within their market only. Booksellers can therefore only buy bulk copies of a title from the publisher who has rights in their own territory, so Australian booksellers purchase from Australian publishers. Once again here in Australia the PRODUCTIVITY COMMISSION is recommending that these rules be abandoned, allowing bulk copies of books to be sourced from any market in the world, at any time, thus removing the Parallel Import Restrictions (PIRs) that currently exist. So why does the Productivity Commission want to remove PIRs? They claim it will make books cheaper for consumers even though in the last Productivity Commission report on this issue they admitted that firstly, they couldn’t guarantee book prices would actually fall, and secondly, if they did fall, they couldn’t guarantee the booksellers would pass those possibly lower prices on to consumers! So in summary the big benefit of removing PIRs is – lower prices that may or may not come, but if they do come you may not get them anyway. What are the COSTS of removing PIRs for authors, publishers,the industry in general and all Australians? I’ll use a personal example. 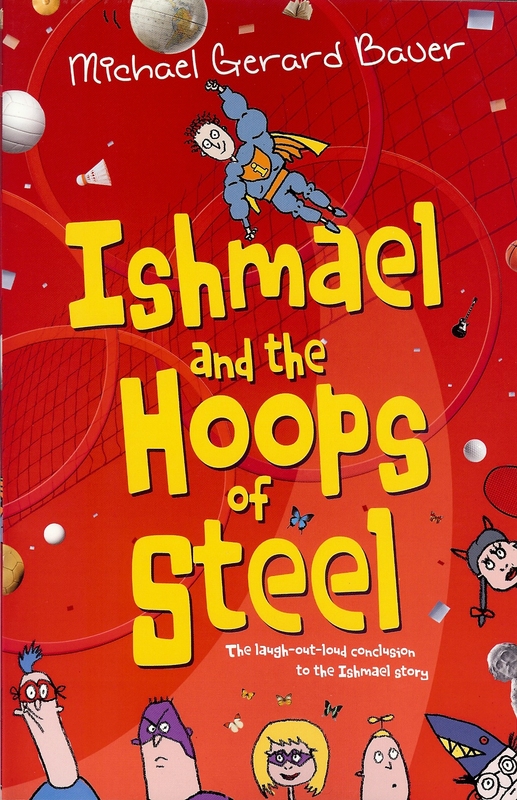 My book Don’t Call Me Ishmael was published by Omnibus Books/Scholastic Australia in 2006. Even though they bought the World Rights my publisher only has the territorial rights to publish in Australia and NZ. I was very fortunate that the book was subsequently sold on to other publishers in the USA and UK. Under the present rules, copies of those overseas editions can’t be imported in bulk into Australia for sale, but individuals can still order copies via Amazons etc. So what would happen in this case if PIRs were removed like the Productivity Commission wants? Well first of all my Australian publishers would now face competition from those imported overseas editions. So what’s wrong with that? Isn’t competition fair and reasonable? Well I don’t it is in this case. My Australian publisher is the one that has taken the greatest risk in publishing my book in the first place. They have devoted their time, resources and money to the development and thorough editing of the story from the original manuscript to get it to the highest possible publishing standard. Is it fair that overseas companies should be able to just jump in and take advantage of all that work and then undermine the local publisher’s hard-earned profits by having free range to sell their overseas version back into Australia? And another problem arises from this. Since removing PIRs would substantially erode local sales and profits, it would act as a strong disincentive for Australian publishers to pursue and sell overseas rights in the first place. I have been able to move from being a full-time teacher to being a full-time writer, because of income earned through royalties, PLR & ELR and payment for school visits and festivals. A big factor in making that move possible was gaining those royalties from overseas sales in countries such as the USA and UK. I am very grateful to the International Rights Department of Scholastic Australia for their efforts in selling on these rights. But why would they want to continue to do this if it just came back to bite them through a flood of competing imported editions? In the case of DCM Ishmael, the American edition didn’t sell as well as expected so it’s likely without PIRs that copies of this edition would have been dumped cheaply on the Australian market to the great detriment of the successful Australian edition. Another important reason why I wouldn’t like to see the UK or USA edition of DCM Ishmael sold in bulk here, is that they are not the same as the Australian version. In both the overseas editions, uniquely Australia words and expressions have been removed and replaced, and in the case of the US edition, boys in an Australian school now play a game of American Football instead of Rugby Union! Surely it’s important to all Australians that our kids see themselves, their country and their language in texts they read? I feel honoured that DCM Ishmael is set as a text for middle grade classes in lots of Australian schools. Occasionally I visit a school and I see a student with the US or UK edition which must have been ordered online. I think it’s sad that a student will not be reading an Australian story as it was originally written. If PIRs were removed, whole classes or year levels could be doing this. I totally reject the Productivity Commission’s recommendations regarding removing PIRs. I don’t think unfairly undermining Australian Publishers’ profits will make them more productive. I think what it will do is force some out of business and cause widespread job losses in what is at present a very efficient and successful industry. And I also fail to see how reducing the opportunities for authors to get published or for published authors to earn a living (average author income = $12,900) will make them more productive either. Cheaper books would be nice, but not if the real price you pay ends up being far too high. And finally, as for the suggestion in the Report that authors should retain copyright to their work for a measly 15-25 years after its creation (rather than the 70 years after their death which is presently the case), well at this stage I’ll give the Productivity Commission the benefit of the doubt and just assume that that’s some kind of a very sick joke. PS: Read what Tim Winton and Richard Flannagan and Jackie French have to say (so much more eloquently and powerfully than me) on this issue. You can also read what the ASA (Australian Society of Authors) have to say and more importantly, sign their petition HERE. We’ve been fighting this for years. This entry was posted in Uncategorized and tagged ASA, Don't Call Me Ishmael, Parallel Imports, PIRs, Productivity Commission. Bookmark the permalink. Re your last comment, Michael – it’s like they added that nasty little activity to distract up from the main game, what they tried to do in 2009, to lift the Restrictions on Parallel Importation on Books. Economic rationalists stink! That’s what I thought Sheryl. Well said, Michael. And it is not only writers that are affected. I sent my submission to my local member and to all the candidates in our electorate telling them that the thousands of creative people and the businesses who support them who are now making a living from their creative endeavours would all end up asking for a handout from the government if this goes through. And that these thousands of voters won’t be voting for any party that endorses this unjust scheme. I see copyright as a form of superannuation for creatives. Taking that away will put us all on government handouts. Why are we fighting this again? Are they expecting us to give in if they put the proposal up enough times? Not going to happen!